Orion Removed from Steam by DMCA; More Than Meets the Eye? ORION was removed from Steam yesterday. The dinosaur themed FPS game was taken down due to a DMCA notice by Activision. 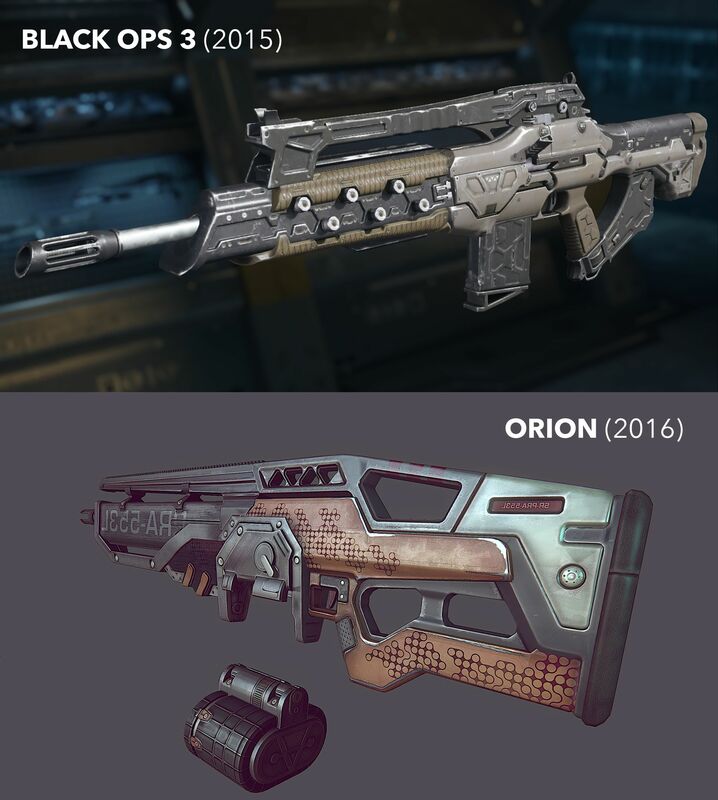 Which claimed that various gun models were stolen from the Call of the Duty series. But is the takedown justified? I had to guess on weapons as no specific assets or images were provided to me, nor was I contacted by Steam/Valve or Activision prior to having the game removed from Steam. As you can see, the top section of one of the guns is virtually identical. As is the sight view from one of the other weapons in the game. These seem like more than a coincidence. And there are lots more examples of comparisons. 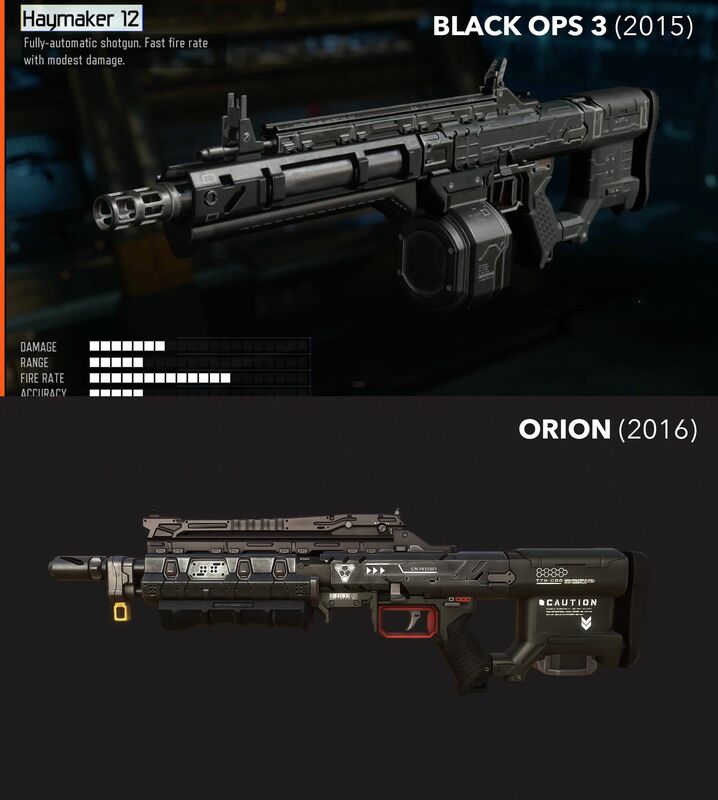 Bits of various Call of Duty guns seem to been used in the models for the ones in Orion. Seems the company likes taking existing models and tweaking small parts in order to call them their ‘own’. Which seems to be a trend here. The Orion series has been quite controversial over the last few years. With lots of cases involving questionable behaviour on the devs part. Like the case involving a T-Rex from Primal Carnage. They took the model, redid the head and replaced textures. That was enough for them to act as if it was ‘new’. The various issues involving working conditions. Employees talk of ridiculous hours, cheapskate behaviour and all kinds of other issues there. Based on the comparisons provided by the company, you’d be right to believe it was a wrongful take down. 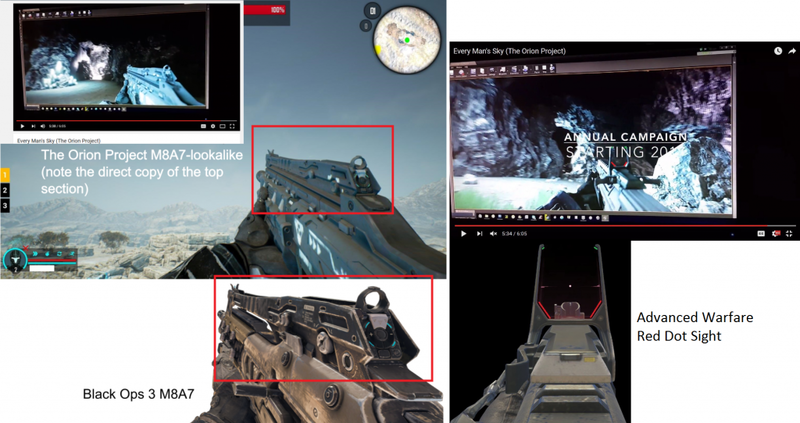 But based on the community found examples of questionably reused resources, it seems like Activision may have had a point and the game may well have used stolen resources from their Call of Duty games. It’s a prime example of how what seems like a simple news story can actually turn out a fair bit more complex than initially imagined, especially when those involved might be trying to bend the truth a little. Unfortunately, that part seems to have not reached certain people on the internet and social media. The evidence says it’s not a David vs Goliath case. But on the internet, simple narratives win, and that one has taken hold. To overturn the DCMA request by Activision on ORION, and allow it back on steam. There are comments on social media about how ‘evil’ Activision is for doing this. But it’s not as simple as that. ORION’s takedown was due to stolen content, and there is clear evidence for that.